Driving Management Australia is dedicated to the improvement of road safety through practical driver training. Our Defensive Driving Courses Mt Cotton provides Practical Defensive Driving & 4WD Programs at the Mt. Cotton Driver Training Centre, which is situated at Cornubia (near Loganholme). This is a multi-million dollar purpose-built driver training facility, which incorporates a Skid Pan. We conduct these programs on a regular basis, either weekdays or weekends. Driving Management Australia has gone from strength to strength, providing driver training to major corporate clientele throughout Australia. While still passionately providing driver training to the general public. 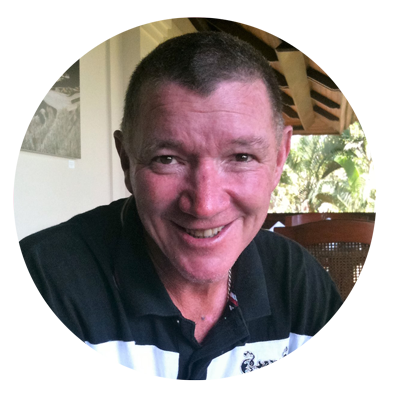 Managing Director and Principal Instructor John, commenced Driving Management Australia in 1998 after an extensive career in the Driver Training Field. John’s previous experience has included positions as a Military Instructor at the Army School of Transport, a Civilian Instructor with the Queensland Police Driver Training Wing, part-time employment as an Instructor with Gregg Hansford Defensive Motoring Australia and the position of Operations Manager/Principal Instructor for Defensive Motoring Australia. John has personally selected instructors at the very peak of the field of Driver Training to form a comprehensive ‘Instructional Team’ catering for the many and varied facets of the Driver Training environment. Tony has been involved in the driver-training field since 1984. Tony has been part of the DMA Instructional Team since it began in 1998. Tony performs instruction in areas of defensive driving for cars. Neale has been involved in the driver-training field since 1989. Neale has been part of the DMA Instructional Team since it began in 1998. Neale performs instruction in areas of defensive driving for cars, 4 wheel drives and rigid trucks. Dave has had many years experience in driving training field and has been with DMA since it began in 1998. He provides training in defensive driving for cars. Alan has been involved in the driver-training field since 2013.Since leaving the Queensland Fire Service after 30 plus years of service, Alan has been part of the DMA Instructional Team. Alan performs instruction in areas of defensive driving for cars, 4 wheel drives and rigid trucks. Ray has been involved in the driver-training field since 2006.Since leaving the Queensland Police Service after 30 plus years of service, Ray has been part of the DMA Instructional Team since 2007. Ray performs instruction in areas of defensive driving for cars, 4 wheel drives and rigid trucks. Sam has been involved in the driver-training field since 1999. Sam has been part of the DMA Instructional Team since 2008. Sam performs instruction in areas of defensive driving for cars, 4 wheel drives and rigid trucks. See what others are saying about our courses. We offer tailor-made programs for corporate and individuals, and we will always endeavor to cater to your individual driver training requirements.